With New Year’s Eve right around the corner, everyone hosting a party or attending a BYOB can rest easy: Genesee Brewing Company has been providing the Rochester area with local craft beers since 1878. 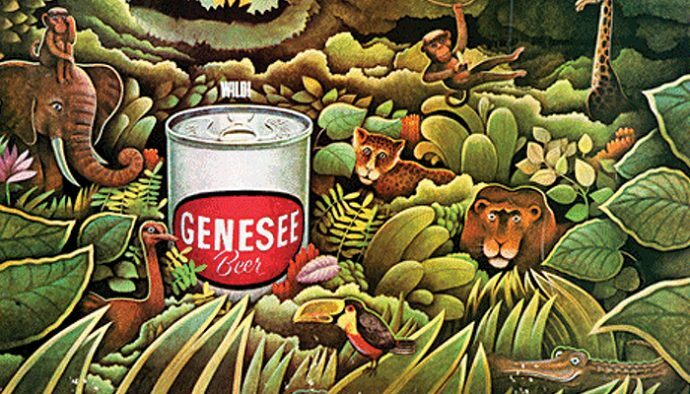 I was just recently introduced to Genesee beer last week when my grandparents picked me up from the airport for the holiday break. For an early birthday lunch, we stopped by the Genesee Brew House. Because I was a little air-sick, I didn’t sample any of the beers on tap. But that didn’t stop the old-timer locals, including my grandfather, from telling me about their joys and triumphs with a few Genesees in the background of their good ‘ol days. With the three classic beers, Genesee, Genny Light, and Cream Ale, it seems like Genesee Brewing Company and their pin-up campaign girl, Jenny, took the northern Finger Lakes Region by storm. My grandfather talked about restaurants that would only sell iconic Genny – why offer anything else when you’ve already got the best? Passing around a few cans at the docks of his old marina was a sure way to make friends with all of the proudly self-proclaiming river rats. I listened as we waited for our food in the wood and brick building. From where I was, I could see the patio and can only imagine the kind of hotspot hangout that it must be during warmer weather. Sure, they had a christmas tree made of old, steel kegs up outside, but I was ready to reserve a table for a breezy night in July! But for that day, I got to experience the best pretzels with beer cheese (who says you have to drink it to enjoy it?) of my life, but I also felt myself absorbing some major Rochester history. The museum downstairs was full of antique brewery equiptment, marking materials, and information about the evolution of craft beers in New York state. I even recognized some of the tin serving trays, as my grandmother hung up a few copies in our cabin. They’ve been there since before I was born, yet I never knew their significance. 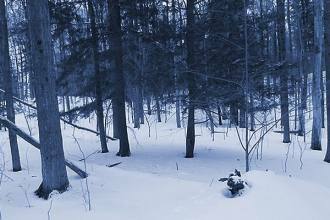 The very last thing we stopped to see was the beautiful view of the High Falls and Genesee River Gorge. My grandfather told me about the old mills, as the hops from the brewery made it easy to picture myself in that same spot decades earlier. Whether you’re looking to pick up a cold Genny or two, or are hoping for to experience some Rochester pride and culture in a dining experience, I highly recommend making your way to Genesee Brewing Company. Thanks, Grandma and Grandpa! Next articleBar Argos is a Treat!